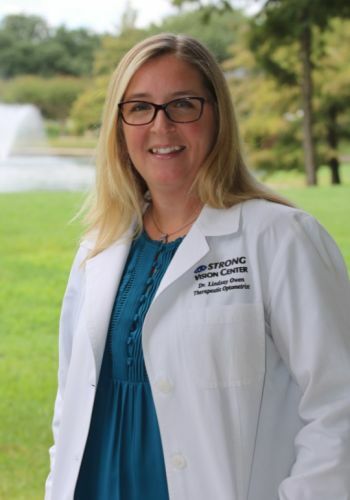 Here at Strong Vision Center in Cypress, TX, we care about our patients. 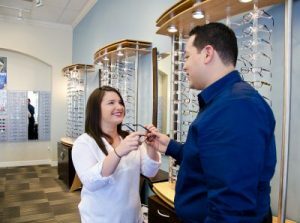 Our staff has exceptional customer service to guide you through your eye examinations and eyeglass and contact lens fittings. 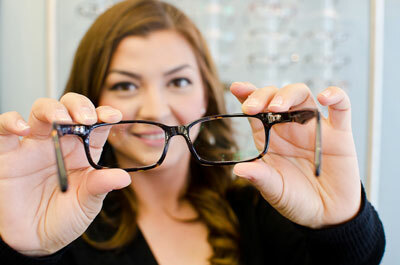 We have certified opticians and frame selection specialists who will help you feel comfortable with your eye care. We use the most advanced technology for diagnosis and treatment of all eye diseases to make sure your eyes stay healthy and happy. We specialize in controlling myopia in children by using Ortho-K, as well as fitting hard to fit contact lenses including scleral lenses. Learn about Adult and Pediatric Eye Exams, the testing involved, and special considerations for kids and contacts. We will help you find the best fit for your specific needs and explain all about the different types of lenses, materials, and frames. 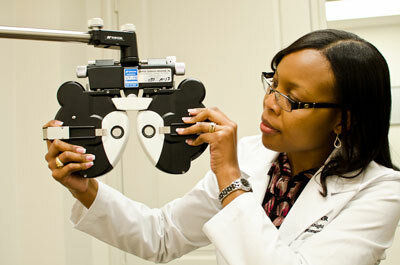 Learn about the different types of vision tests and equipment you may experience on a visit to Strong Vision Center. 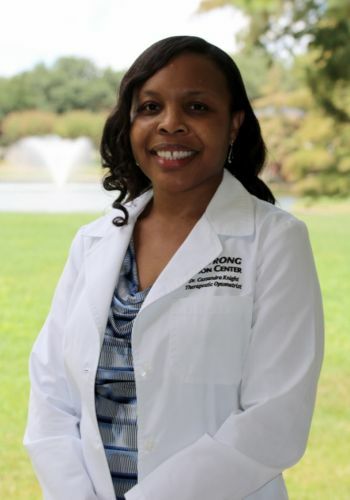 Dr. Jane A. P. Strong O.D. Morgan was so helpful and absolutely so kind! Highly recommend! I had an amazing expirence at Strong Vision Center today! Such a great group of people! I strongly recommend using them for all your eye needs!!! Love them!!! Strong Vision Center Long time patient/client. 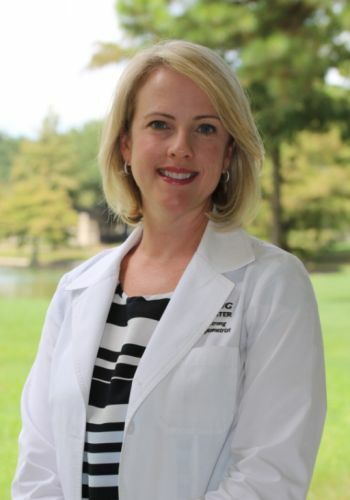 Always superb in patient/client care and concern. They care about you! Customer Service each and every time. Morgan’s above and beyond is without approach. You go lady! Very much enjoyed my time eye exam. Everyone was kind and helpful and were very easy to understand. They handled my eye exam where my diabetes is concerned very well! Great services and always friendly. Extremely knowledgeable regarding insurance coverage. Top notch services. The employees are very friendly and knowledgeable. The optometrist are the best. They're never in a hurry and take the time to get your scripts right the first time. I used to go to other places and it would take them several times to get my glasses correct. Strong vision get's them right the first time every time. The frame selections are great and very Farley priced. The technicians are helpful on selecting the frames for the look and the script. I highly recommend Strong vision for your glasses needs. Orthokeratology, or "ortho-k," is the process of reshaping the eye at night with special contacts, so no daytime glasses or contacts are needed! Sports eyewear can give you the performance edge and increased clarity you are seeking for just about any sport or recreational activity. Please call our Fairfield office at: 281-746-7176 or our Spring Cypress office at: 281-373-3063 for further instructions. 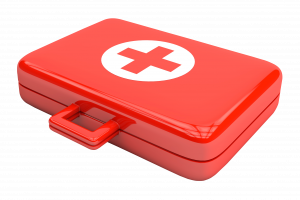 Use your best judgment on urgency, if you feel you need to find the nearest emergency room. Please visit our Emergency Eye Care Services page for more information. 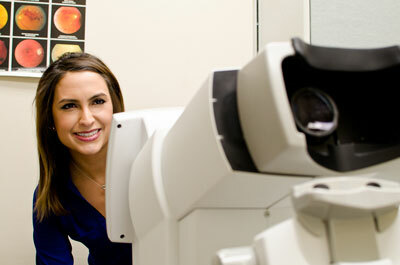 Looking for an Optometrist in Cypress, Texas? 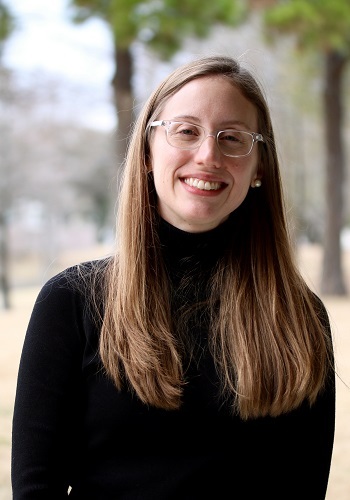 Our optometrists at Strong Vision Center take the time to explain the results of your eye exam, describe your options and listen to your eye care needs.